The Suthers Law Firm is currently evaluating claims for individuals harmed by the DePuy Synthes elbow implant. 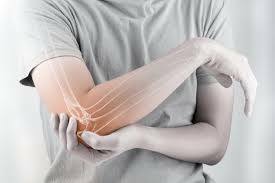 If you or a loved one has experienced complications related to radial-stem loosening of the DePuy Synthes Radial Head Prosthesis System you may be entitled to compensation. Suthers Law Firm has previously prosecuted cases successfully against DePuy on behalf of many patients who were surgically implanted with other defective orthopedic products manufactured by the company. Contact the experienced product liability attorneys at Suthers Law Firm online or call us on our toll-free number, 1-800-320-2384, to set up a FREE consultation.